It was a lot of fun for everyone involved! Baby James was a little shy at the start but then got into the whole photo business and gave us some very cute moments to capture:) We even got his mum and dad involved for a couple of family shots, which was absolutely great! And it all ended with a full face in the cake, as you can see, which was absolutely hilarious to watch and photograph. 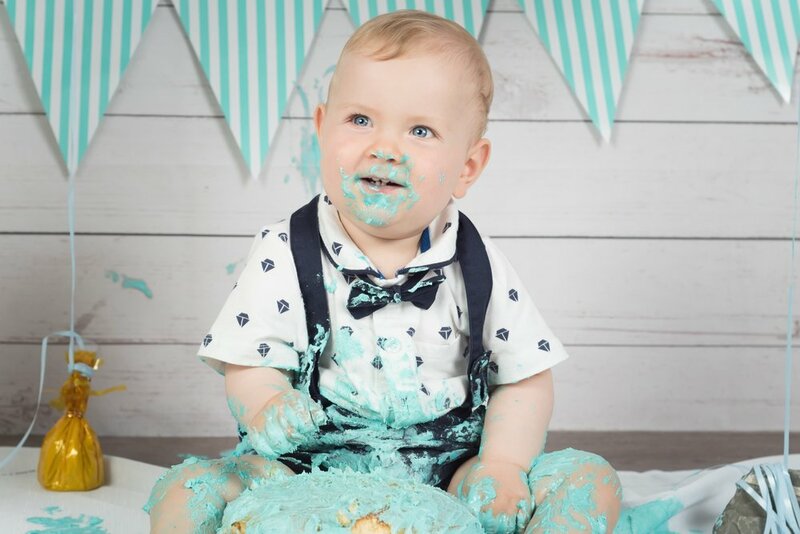 Again, Happy 1st Birthday Little Man, and we hope to see you again, in our studio real soon for some more fun and games!! !